On all Composite Doors from Composite Door World we install the latest Avocet ATK Diamond Grade Euro Cylinder Door Lock. 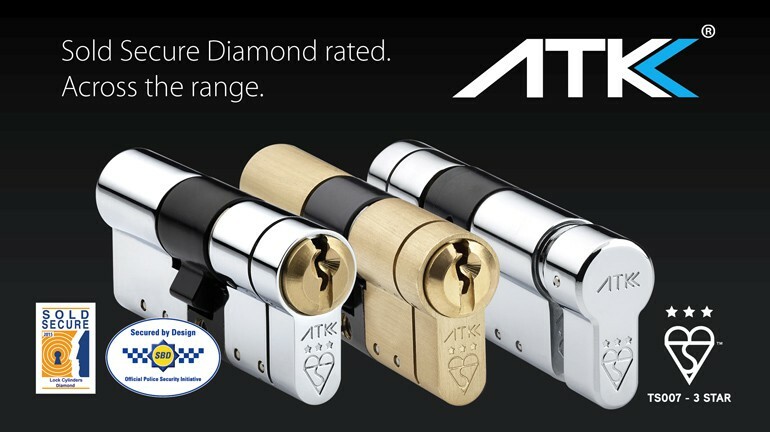 The ATK is a retro-fit euro cylinder with the Master Locksmith Association’s highest rating – SS312 Sold Secure Diamond, TS007 3 star rating, British Kitemark and Secured by Design accreditation’s. We only fit these Cylinders on our Composite Doors due to their high security ratings, this ensures that you as our customer/your family are safe and secure. The patented locking cam system of the ATK lock is proven in the market to effectively combat against lock snapping and forced entry methods of attack. The ATK is tested to and achieved: BS EN 1303:2005, BS 3621:2007+A2 2012, TS007:2007:2014 – 3 STAR, SS312 Sold Secure Diamond grade Rev 2014. These are British Standard security ratings that ensure cylinders are capable of use within your home. Available in sizes from 30-60mm in 5mm increments for both internal and external parts of the cylinder. All sizes have the TS007 3 star British Kitemark. Take a look at the ATK-euro-cylinder Brochure Here!